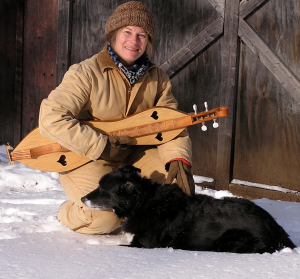 Once again the June week, June 17-22 in 2016, is Mountain Dulcimer week at Maine Fiddle Camp. Long time Fiddle Camp instructor, Pam Weeks, will be teaching . Pam started offering Mountain Dulcimer (also called Appalachian Dulcimer) at Camp in 2011 and it was an instant success. The class is open to all levels of experience and Pam can even supply instruments for those who “just want to try it out”!